If you have found mold in your home it’s important to properly remove it, as it may have an adverse impact on your family’s health. Here’s a simple black mold removal guide to get rid of and prevent further spores without the high mold remediation cost. If you have black mold in your home, you have a big problem. 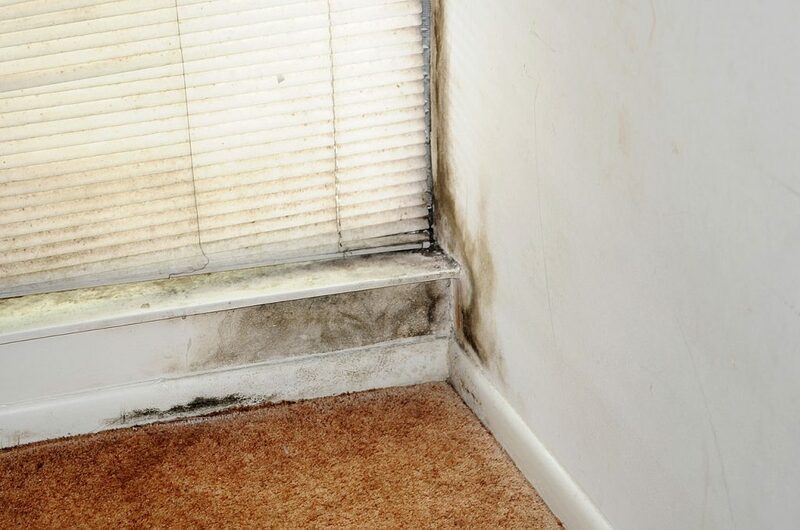 Black mold causes many problems related to your family’s health. It can cause bronchitis, infertility, dizziness, urinary tract infections, memory loss, asthma, coughing, difficulty breathing, nausea or even death. And it’s not just damaging to your health, but your property too. When black mold is found in your house, you must get rid of it immediately. The first step to black mold removal is to prevent the moisture problems that you are currently having, even if it means adding a dehumidifier to the space where the moisture is a problem. If the moisture source is a water leak or flooding, you need to get rid of the standing water as quickly as possible. Once standing water is removed, place fans in the room to help dry surfaces. If you have portable air conditioners, turn them on the dehumidify setting. The excess moisture on the surfaces will add moisture to the air, so try to remove it from the air. If you are able to remove the moisture quickly enough, you may avoid growth of black mold, but you only have one to two days before growth takes place, with rapid succession following. Mold does not have seeds, but grows from spores. As you attempt to remove mold, do not spread the spores through your home. The spores travel with any dust created, so try to keep all dust contained in the room you are cleaning. Using plastic sheeting with duct tape, seal the room from the rest of the house before cleaning. When finished cleaning seal clothing in plastic bags for removal from the room and wash immediately. Any openings from the room to the rest of the home must be sealed using duct tape and plastic sheeting. Do not forget heating and air conditioning ducts. Open outside windows or doors and place fans directed to exhaust any dust and spores stirred up in the room. Turn off the HVAC before commencing the cleaning project. If surfaces are dry, spores are more likely to spread, so mist them lightly with water. Remove visible mold with a mixture of soap and water. Use one of the approved disinfectants (chlorine bleach has not been proven to kill the deadly black mold spores) to kill the mold spores. All surfaces should be cleaned as spores are microscopic and may not be visible to the naked eyes. Once all surfaces are cleaned, be sure that you take time to dry them thoroughly. Non-porous or semi-porous materials can be cleaned and then used again as long as they are not damaged seriously. Heavily damaged materials will require replacement after the damaged materials are thrown away. All materials that are being thrown away need to be placed in heavy-duty plastic bags before removing from the room. All disposal should be directly outside through windows or doors of the room rather than taking materials through the home. Materials can be disposed safely at any landfill. The trick to black mold is catching it early enough. If you find it in its infancy you can treat quickly without the above precautions. In more extreme cases black mold removal must be done professionally. This can range in price from moderately pricey to extremely costly. For the sake of you and your family’s health early black mold removal is a must. By preventing more moisture build-up in the home and removing all materials infested with mold as well as the spores, you should be successful in treating the mold problem in your home. As a result , your family members physical health should improve.